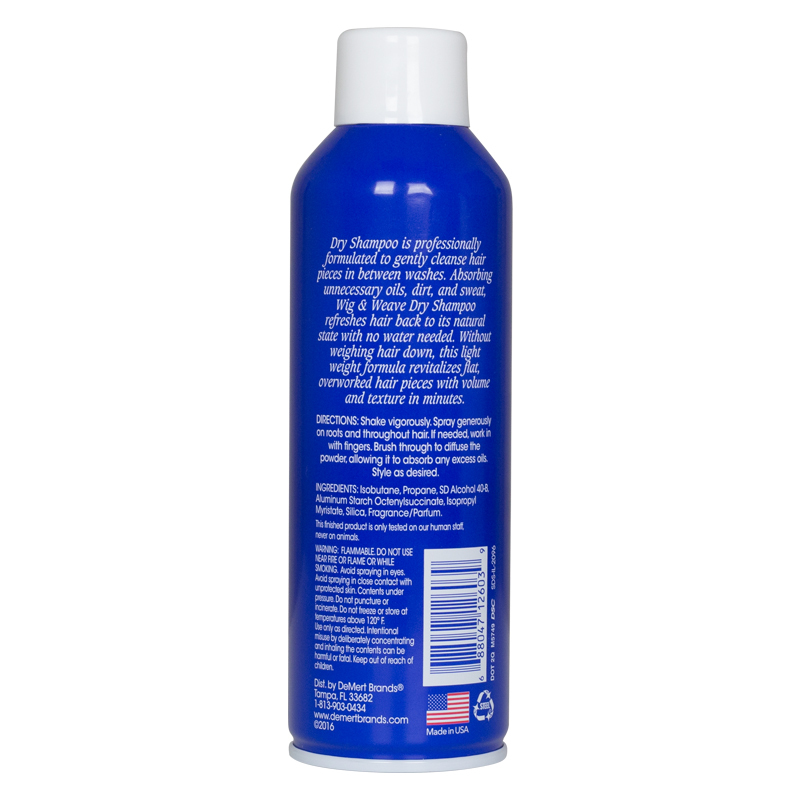 Dry Shampoo is a professionally formulated to gently cleanse hair pieces in between washes. 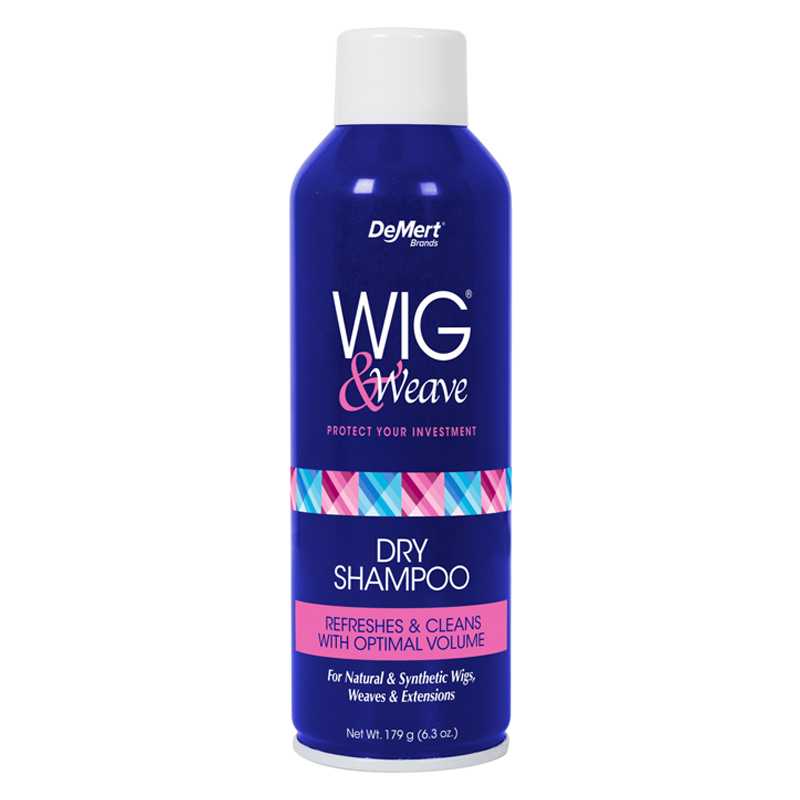 Absorbing unnecessary oils, dirt, and sweat, Wig & Weave Dry Shampoo refreshes hair back to it’s natural state with no water needed. Without weighing hair down, this light weight formula revitalizes flat, overworked hair pieces with volume and texture in minutes. Directions: Shake Vigorously. Spray generously on roots and throughout hair. If needed, work in with fingers. Brush through to diffuse the powder, allowing it to absorb any excess oils. Style as desired.